A 22-year-old unemployed woman, Tope Olanrewaju, who allegedly assaulted her friend by biting off her left ear, was on Friday granted N100, 000 bails by an Ikeja Magistrates’ Court. The Chief Magistrate, Mrs. B.O. Osunsanmi, who gave the ruling, also granted the accused one surety in like sum, who must be gainfully employed. The accused, a resident of No. 4, Agbowa St., Ogijo near Ikorodu, Lagos State, had pleaded not guilty to the two-count charge of assault occasioning grievous harm and unlawfully inflicting wounds brought against her. 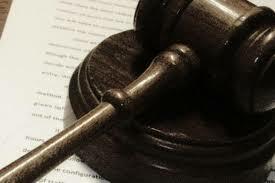 According to Police Prosecutor Simeon Imhonwa, the accused committed the offences on May 7 at about 4.00.p.m. at Toyin Street, Ikeja. Imhonwa alleged that the accused beat the complainant, Tolulope Adekoya, to a pulp and cut off her left ear with her teeth. “The complainant said Tope Olanrewaju had threatened to deal with her on several occasions. “The complainant alleged that the accused refused to return the money she borrowed and kept threatening her life whenever she demands her money. “This led to a misunderstanding and a fight between them, and in the process, the accused beat Adekoya to a pulp and bit off the left ear,” he told the court. The offences contravened Sections 171 and 244 (a) of the Criminal Law of Lagos State, 2015 (Revised). The magistrate adjourned the case until July 1 for mention.